Looking for lawn care services in Little Rock, Arkansas? Look no further than Lawn Love. Get an instant quote for lawn care services near you such as lawn aeration, lawn mowing, leaf removal, gutter cleaning, gardening, yard care, weed control and more. 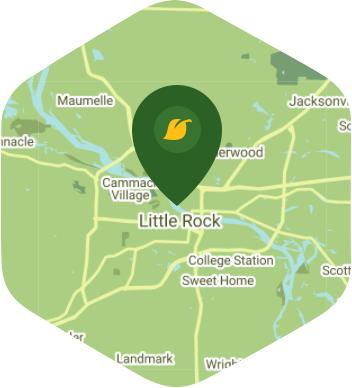 See why we're rated the #1 lawn care service company in Little Rock. Type in your zip code above and get a free lawn care service quote from us today. Home to some of the best golf courses in Arkansas, as well as picturesque parks and amazing pathways for walking and biking, Little Rock is a haven for those who love to be outdoors. And if that weren't enough, you probably have the kids (or grandkids) wanting to go to the zoo or the water park. With all of this to keep you occupied, would you really rather be at home mowing your lawn? Of course not! And luckily you don't have to, because Lawn Love is here to save the day. Our independent lawn care experts have the tools and techniques to get your lawn looking lush and green, season after season. And, booking and maintaining our services is a piece of cake with our website and simple app. So, before you hit the links or head out to do some exploring, call Lawn Love at 501-251-6097 or try our easy two-minute quote. And get the lawn you've always wanted, hassle-free!